It would be unfair to call the 2019 Lincoln MKC a bad purchase, because it isn’t. 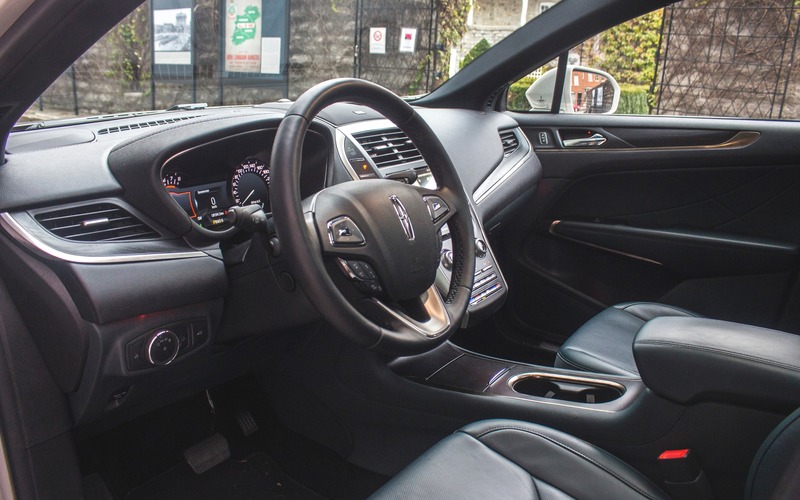 On its own, Lincoln’s compact luxury SUV pushes many of the right buttons as far as what consumers are seeking in this segment. The problem is that it’s submerged in a sea of excellent alternatives from Japanese, German and even British brands, each offering consumers a little more for their money. I’d imagine a Lincoln salesperson standing there with his fingers crossed, hoping the potential customer won’t head over to an Acura or Infiniti dealership to compare. First introduced in 2014, the Lincoln MKC gets an overhaul for 2019. Still based on the Ford Escape’s architecture, Lincoln’s smallest SUV finally gets the brand’s new signature front fascia that was introduced on the Continental, which includes the front grille and restyled LED headlights. The MKC also benefits from an enhanced safety tech offering. Lincoln speaks of an all-new rear end, but to our eyes, nothing has really changed. Inside, things remain somewhat intact. Both 245-horsepower 2.0-litre, and 285-horsepower, 2.3-litre turbocharged four-cylinder engines remain, and so does the six-speed automatic gearbox. In Canada, all MKCs come standard with all-wheel drive. 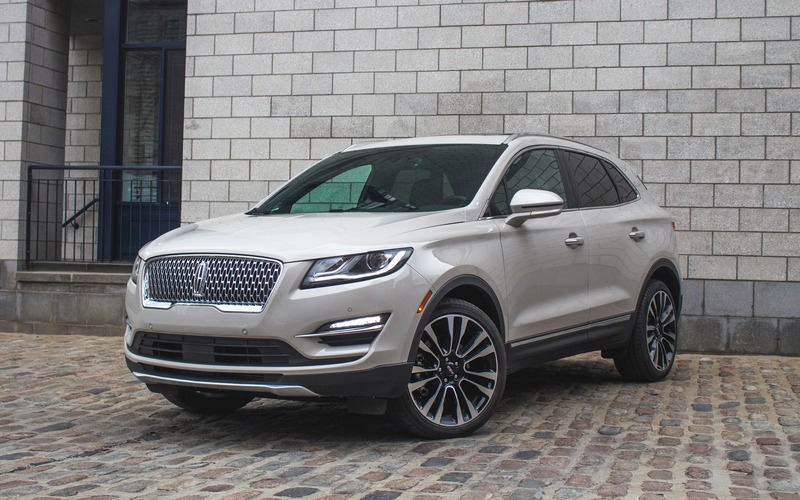 To Lincoln’s credit, the MKC is a fantastically good-looking vehicle, especially now that it’s adorned with the brand’s fancy corporate grille. Our tester was a Reserve version, with the 2.3-litre engine, and painted in the elegant White Platinum paint job—which has an attractive chalk hue to it. There’s also the all-new-for-2019 Rialto Green leather interior, which helps spice up an already cozy cabin. Overall, the MKC looks expensive and fancy. Its cabin is roomy, both front and rear, and seat comfort is solid. We also appreciate a rear hatch that opens nice and wide, like on an Audi Q5. Unfortunately, the 2019 Lincoln MKC isn’t an Audi. That trunk, for example, may seem large at first glance, but once compared with its rivals, the MKC only gives way to 1504 litres of total cargo space, which is slightly outpaced by the Q5 (1550 litres), and easily trails behind rivals such as the Infiniti QX50 (1699 litres), the Acura RDX (2260 litres) and even the Cadillac XT5 (1784 litres). There’s also an issue with some of its interior components. While the leather seats look sharp and the Sony THX sound system sounds amazing, it didn’t take long for us to spot a light switch taken directly from a Ford Fiesta or a wiper stalks sourced off a Ford Focus. The low-grade plastic that covers the centre stack doesn’t help the MKC stand out as a luxury item either. Carmakers like Acura, Infiniti and Lexus have understood that basing a luxury vehicle on a mainstream one no longer works. If the Germans are doing so well in these segments, it’s because they were first engineered from the ground up as luxury vehicles. The MKC sadly still feels like a badge-engineering job, and with a base price of $45,450, it isn’t much more affordable than its rivals. However, all isn’t lost for the 2019 Lincoln MKC. Ride comfort is up there among the best of them thanks in part to Lincoln’s adaptive dampers. There are three modes to choose from—Comfort, Normal, and Sport—each significantly changing the vehicle’s composure. But while we appreciate the cushy, floaty ride in Comfort mode, we would have enjoyed a stiffer one in Sport. Granted, that’s not what a Lincoln is supposed to stand for, but the segment is as such, all of them offer some kind of driving dynamics. That being said, we have nothing to say about that 2.3-litre mill, shared with sport cars like the Ford Mustang and the Focus RS. It pulls hard, is absent of turbo lag or unwanted dead zones. And thanks to ample low-end torque—305 lb.-ft. of the stuff—the MKC’s six-speed automatic doesn’t need to hunt for lower gears. As far as the drivetrain combinations go, this one is up there with the best of the segment. But then, it isn’t, because the MKC likes drinking gasoline like an alcoholic. 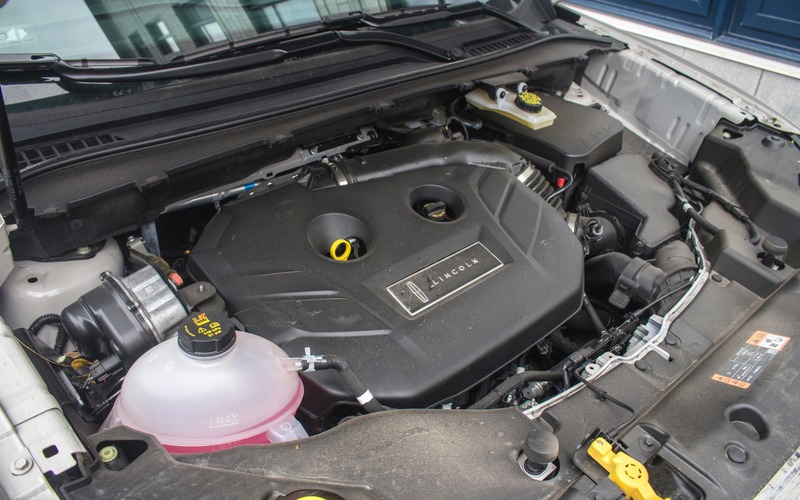 While we’re glad it doesn’t require premium fuel, we scrambled to keep the darn thing under the 11.0 L/100-km mark, while several rivals with similar power figures will easily dip under 10 L/100 km. 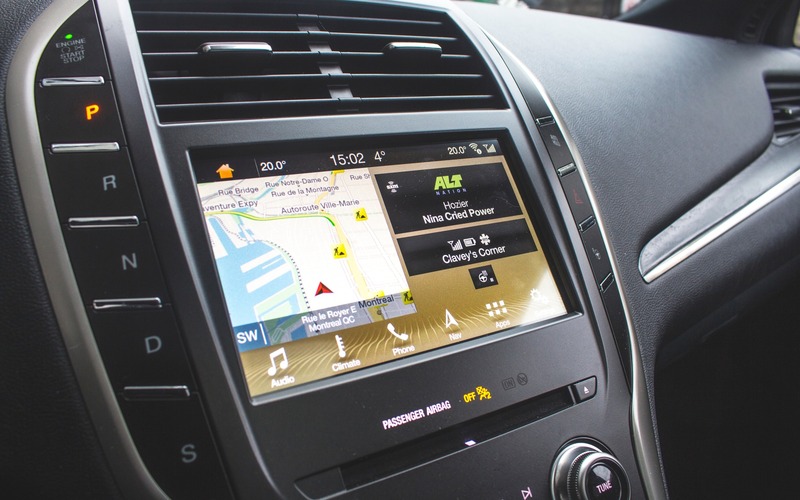 Ford’s SYNC 3 infotainment interface remains among one of the most intuitive and tech-filled ones in the business, with Android Auto / Apple CarPlay integration and large, quick-reacting software and physical redundant controls that can be operated with gloves. We admit the 2019 Lincoln MKC deserves more attention from consumers, and we could forgive it for having been released ahead of its now more-sophisticated rivals. Standing as one, it’s excellent. And with the entire Lincoln brand being in the process of reinventing its image with fresh offerings like the Navigator, the Nautilus and upcoming Aviator, Ford’s luxury division has proven it can dish out some compelling and distinguished products. But until an all-new, from-the-ground-up MKC arrives our way, we’re forced to recommend you something German or Japanese. 5/10	We did our best to be frugal. Sadly, the MKC never went under 11 L/100 km, which isn't great for the segment. 8/10	Generally speaking, the MKC is a comfortable and roomy vehicle, and noise insulation is among the best. 8/10	The 2.3-litre turbo pulls hard, provides plenty of low-end torque and allows the MKC to be respectfully quick. 8/10	Ford SYNC 3 remains easy to comprehend, intuitive and filled with modern tech. Android Auto / Apple CarPlay integration. 5/10	This isn't a sporty vehicle, so don't expect it to give you an adrenaline rush. 6/10	Standing alone, the 2019 Lincoln MKC has a lot going for it. Sadly, things start falling apart when you compare it to its direct rivals.